Now that the school year is in full swing, it seems like I’ve got less and less time to do things around the house. With my son’s activities after school, and the baby, the day is always over before I can get things done. Plus, we’ve started a fun new family project that involves camping. I can’t wait to share that with you in the coming weeks. So in an effort to save some time in the kitchen, I’ve been making more and more slow cooker recipes. They’re perfect for fall, and a great way to make a quick weeknight dinner that’s kid-friendly too. For this recipe, I add chicken, corn, beans, tomatoes and Mexican spices to the slow cooker and let it cook all day. After it’s done you can serve it over rice for a quick dinner, or in a taco shell, or over tortilla chips, or just serve it by itself. Be sure to add lots of Crystal Farms Pepper Jack cheese though. That’s what really makes this dish so delicious. Crystal Farms has been in business since 1926 and is one of the largest cheese brands in the country. They have lots of different cheeses to choose from. You can see all the Crystal Farms Products here. 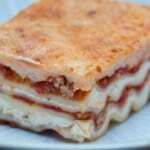 Want more delicious cheesy recipe? Check out these Crystal Farms favorites. Be sure to also connect with Crystal Farms on Facebook and Crystal Farms on Pinterest too! Want to win a new Crcokpot to make this dish in?! Of course you do! This is a great model because it’s programmable and has those latches that hold on the lid. That way you can take it anywhere. I love this model! To enter to win a new Crock-Pot Programmable Cook and Carry Oval Slow Cooker, just tell me in the comment section below your favorite slow cooker recipe! Add chicken, tomatoes, black beans, corn, onion and taco seasoning to slow cooker. Turn to low and cook for 6 – 8 hours, or until chicken is easy to shred. To serve, shred chicken and mix well in crockpot. Serve in a tortilla shell or over rice garnished with fresh cilantro. Tip: If ingredients are too soupy, cook uncovered on high for a while until it dries out some. 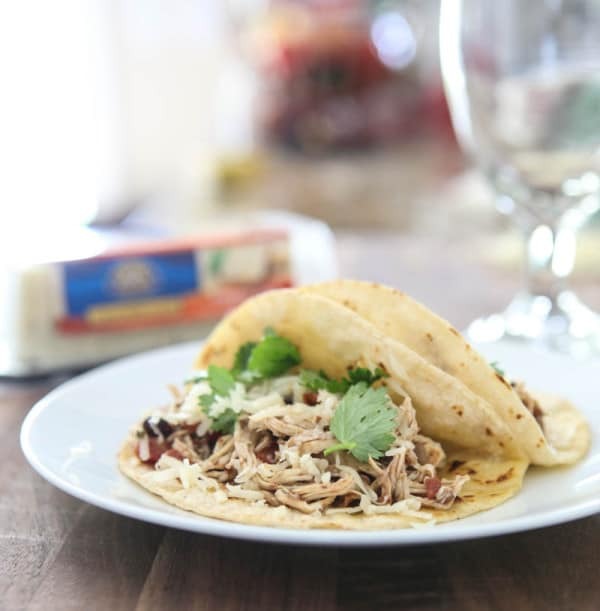 Love easy chicken recipes in my slow cooker as well. Makes life so much easier with a family! I love to make pulled pork in my slow cooker! 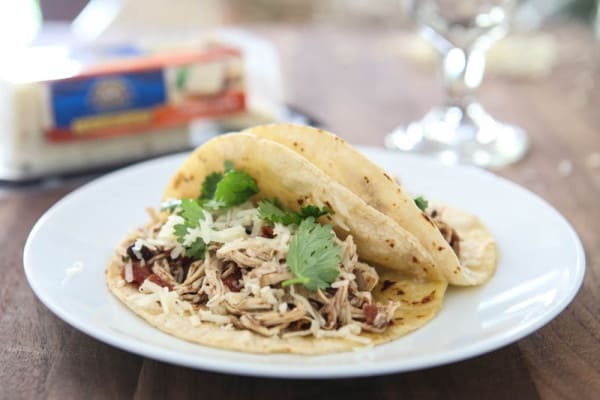 I love my slow cooker and this recipe looks fantastic! I have to try this cheese! What an awesome looking slow cooker dish! It looks perfect for quick weeknight dinners and of course lazy Saturday meals. I recently made Kalua Pork (from allrecipes.com) in the slow cooker and it was a huge hit. With a few tweaks, it was a perfect party recipe. We love to make beef stew. The kids always want a double batch each time. My favorite slow cooker recipe is chili! My family loves it, and I LOVE anything fast and easy in the slow cooker. I really love slow cookers and use my three (!) all the time. My favorite recipe for the slow cooker is probably pulled pork – always comes out tender and delicious. But, I’m loving your Fiesta Chicken, too! Perfect family weeknight dinner. Never heard of this brand but I will certainly be on the look out for it. Mmmmm. And my crockpot just came out of the closet for the fall. This is a great recipe to break in crockpot season! Such a simple and delicious looking recipe. My favorite crock pot recipe is pulled pork. Pork Carnitas in the crockpot is one of my favorite things. My favorite is cheesy chicken with rice. This Fiesta Chicken Recipe looks so good too, I’ll have to try it. I love fiesta chicken, it’s so scrumptious. My kids gobble it up. This looks truly perfect, my family would demolish this so quickly. You have to love slow cookers, they are the world’s coolest appliance. Makes the life of all moms and dads so much easier. Can’t wait to check out this cheese. I’ll peek for it next time I visit the states. These look so good. 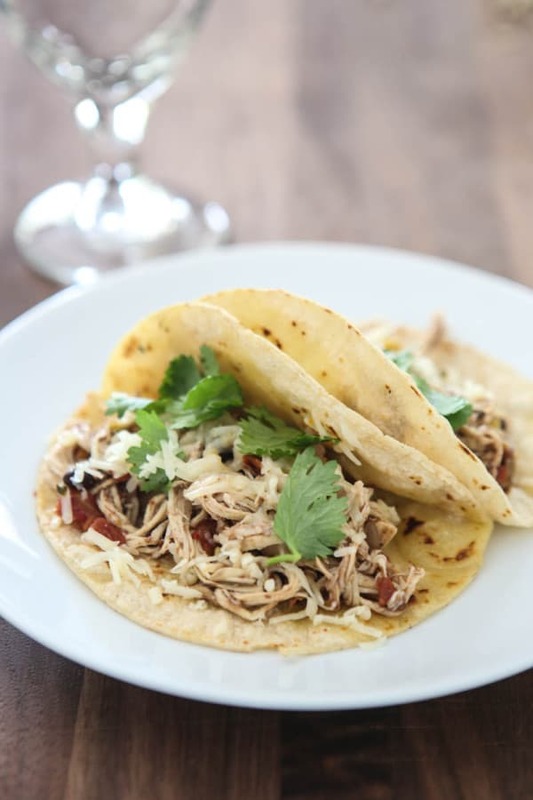 I’ve been in the mood for pulled chicken tacos lately – looks like I need to pull my slow cooker out! I like to make chicken enchilada soup in the slow cooker. Believe it or not, mac and cheese! So easy in the crock pot! I love Slow Cooker Honey Garlic Chicken and Veggies . beef stew with a McCormick seasoning mix, potatoes and carrots.